T-shirts women There are 4 products. 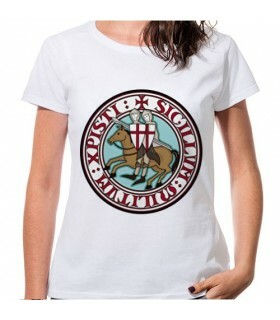 T-shirt for women with the design of the seal of the Knights Templar. The t-shirt is short sleeve and comes fitted by the area of the waist. Made of 100% cotton. Model tubular. 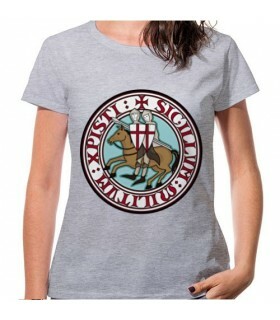 Grey shirt for women, with the design of the seal of the Knights Templar. The t-shirt is short sleeve and comes fitted by the area of the waist. Made of 100% cotton. Model tubular. T-shirt for women white with the design of the Cross and the seal of the Knights Templar. The t-shirt is short sleeve and comes fitted by the area of the waist. Made of 100% cotton. Model tubular. 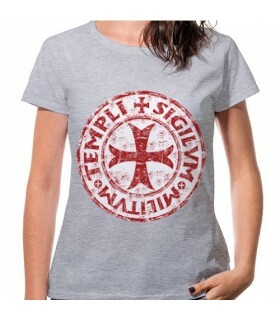 T-shirt for women-gray with the design of the Cross and the seal of the Knights Templar. The t-shirt is short sleeve and comes fitted by the area of the waist. Made of 100% cotton. Model tubular.